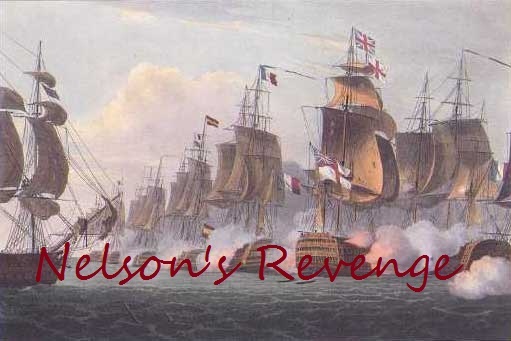 Nelson's Revenge: Blood and Skulls!!!! I know it's been a while but I've been on summerholliday in early august and I couldn't paint for the remainder of the month due to the blistering heat here. Now that the temperatures have cooled down a bit to more acceptable levels it's time to pick up the brushes again. Today's victim is a classical piece, originally produced bij Armourcast waaaay back in the 90's under licence of Games Workshop. I'm talking about the Cauldron of Blood, deamonic engine dedicated to Khorne. Now if there's one thing I like apart from beer, cider and bacon butties it's painting up old school stuff in the new school style with new paints. Obviously red and brass were picked, no pink and blue stuff for the Lord of Skulls. Said skulls were painted in a crisp white, they don't have that much texture on them so I made them a bit sleeker looking but not by much. The horns were painted more bull-like and then given a coat of gloss varnish, just like the blood in the cauldron. Ow Pat, I love that thinng and the scheme you did on it! For Clan, for country and for The Emperor!! !